You are about to cook dinner when you reach into the produce drawer for some lettuce to make a salad. The problem- it’s slimy and gross. Upon further inspection, there are several items that are growing things they shouldn’t be. It’s like a science experiment, gone wrong, in there. Or how about the fudge sauce, that was on clearance, and seemed like such a great deal. It’s now sat there for over a year. Is it still good? You wonder when you will ever use it and now have guilt about buying it. Food waste is not only a huge issue for our pocket books but it’s a major loss of resources!! We believe Menu Planning, more than almost any other option, is one of the best ways to reduce food waste. Salvage Sister not only use to teach a menu planning course as a cooking instructor but also used menu planning as the cook at a high school (with little to no food waste). This is why we created a free Intro to Menu Planning course to get your started in the right direction. Right now, this will only be available for January as our gift for subscribing to our weekly Salvage News -“Make the Most” newsletter. 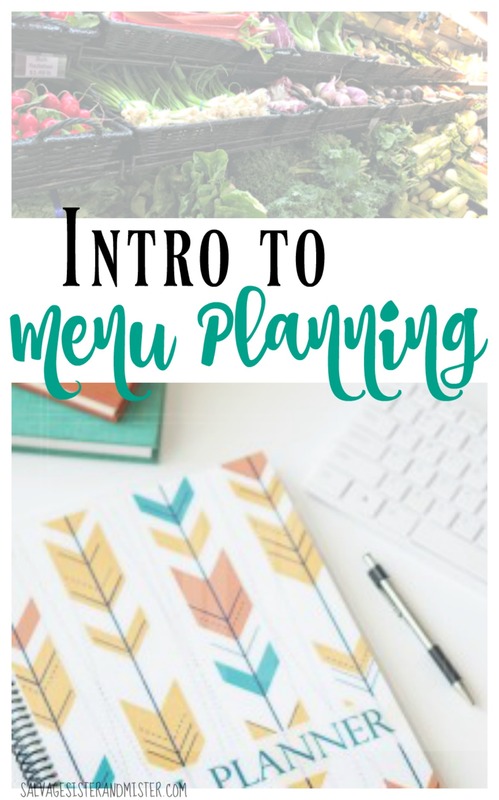 The mini-course will take very little time to get you started toward weekly menu planning and less food waste. We also share some of our no-waste recipes to keep leftovers from being thrown away. Get out your cookbooks and start thinking about your meals. This can also be done in a group setting which is not only fun to do with a bunch of girlfriends, but it really gets the creative juices flowing. Plus, you stick with it as well. Sign up for the “Salvage News – Newsletter”. Print out all the pages (multiple if desired). BONUS TIPS – When taking this course, take an inventory of what you have AND think about food that is currently in season. No blackberry cobbler in January unless you have them in the freezer. Let us know what food planning changes you have made and/or what works for you. We love hearing from you. We wish you a happy and healthy 2017! Thanks so much for being part of the salvage team! Here are some other posts we think you will enjoy! This would be interesting to read. I wish the content was in this post. Thanks so much for your comment. This is free content however we are asking for people to sign up for the newsletter as this is a way we can help build our business. 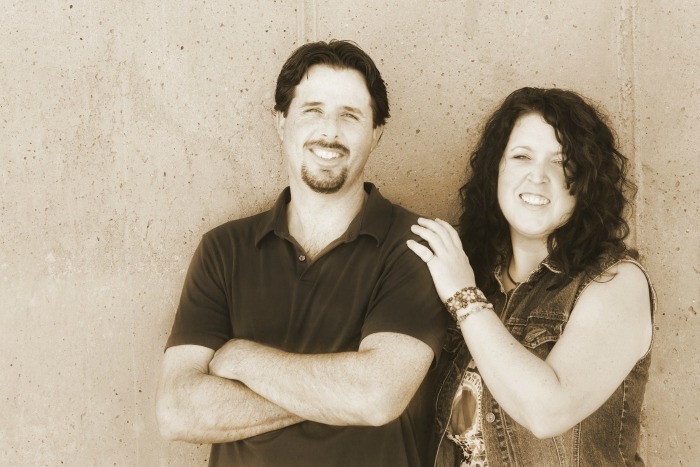 It’s hard as a mom and pop business to provide free content with no way to help sustain us. I hope you understand. Great minds think alike! Meal planning is my #1 goal for 2017! Pinning! 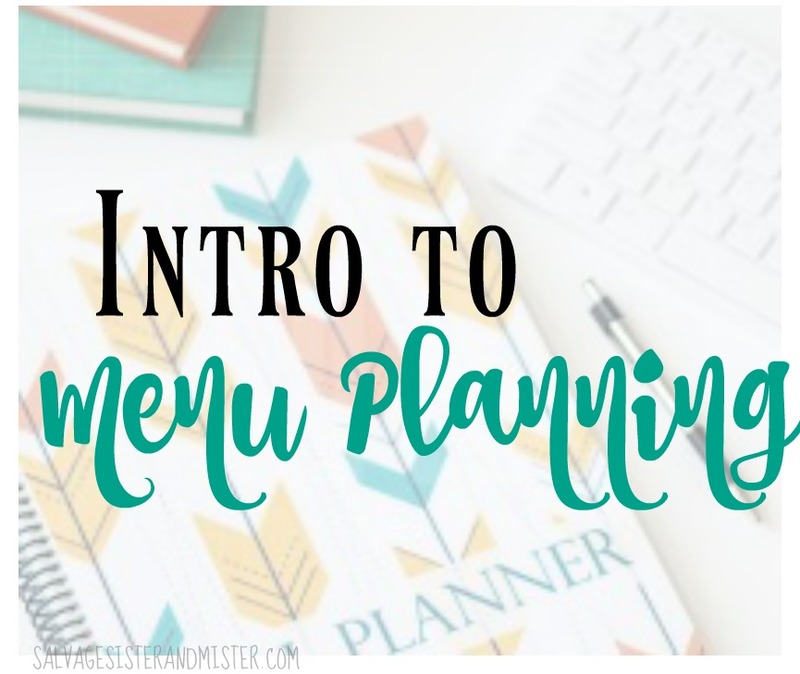 I signed up for the newsletter, and am excited about reading your menu planning course and printing out pages as you mention above. However, I don’t see links to the course or any attachments. Could you tell me where those might be? Thanks for your help! Hi Ann, When you signed up for the newsletter, you should have gotten over to a welcome page. On that page is a link to the mini-course. Did you get to that page? No. The link I found went back to this page. Could you provide the link to the course here or through my email? Or is there another way? Should I contact you through email instead of this comment area? Ann, Thanks for letting me know. I will look into it. For now, I resent out the email so you should have received the newsletter today and the link is in there. Let me know if you have any issues. Another good site is Build A Menu. It even prints out your grocery list! Hello, I did not receive the course content either. Only an email to confirm my subscription and it took me back here. Samantha, the course link is at the bottom of the newsletter but I also sent you an email as well. Nicole, I notice we eat so much better when we plan as well. It’s sometimes hard to get in a routine but once it starts it can really help get moving in the right direction. Have a great day. I knew we had a connection. I’m a retired high school Family and Consumer Studies teacher – I’m loving your idea – so important for all. Cyndi, Oh you are an expert. At one time I thought I would do that but my sewing skills are lacking ..lol. That is so awesome! It’s always fun to think about what meals to make in your week! Thanks for sharing at the Home Matters Linky Party! Yeah just a little bit of planning really helps reduce food waste. I also subscribed but found no link to the intro. The problem was corrected so that is so odd. Do you remember where it took you to? I’ll email you the welcome page link, from there you will scroll down until for you see the free printable link. Thanks for letting me know. Hi, Very nice idea to avoid waste food. My grand mom also don’t like to waste food. she scold me like anything. Keep it up !